Purchase is for one Unicorn. Plush straps imported from Japan. 8cm. 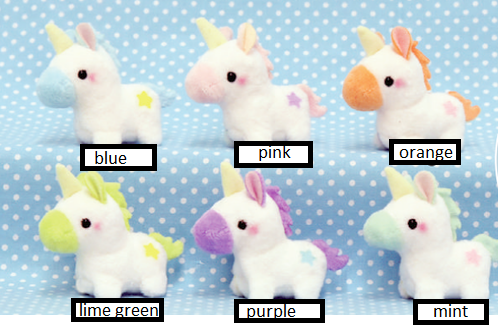 Please request which color you would like in the description or notes of your order.